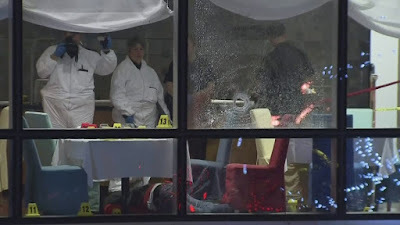 Was the $140,000 found by police in the safe deposit box of Dean Wiwchar the blood money paid to him to take out gangster Sandip “Dip” Duhre, 36, at the Sheraton Wall Centre in downtown Vancouver on January 17, 2012? Sandip (Dip) Singh Duhre left control of 50 to 100 street soldiers and much of the Fraser Valley’s drug trade to his brothers Balraj, 38, and Paul, 35. The Duhres grew up in North Vancouver under the tutelage of Persian Pride gang members. 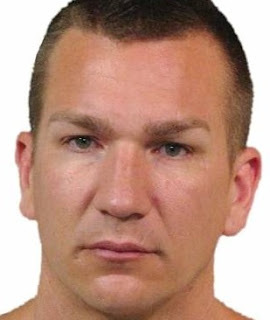 Rabih Alkhalil The Duhres would later relocate to Surrey, where in 1997 police swooped in on the family home and arrested all three brothers for obstruction of justice, as well as Bindy Johal. 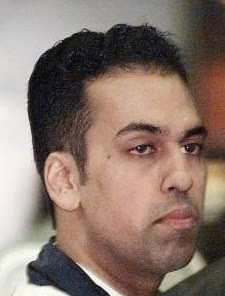 Johal would be shot in the head on the dance floor of Vancouver’s Palladium nightclub one year later on December 20, 1998. Balraj would be the first Duhre to have an attempt on his life after surviving a bullet wound to the face in a failed 2003 Surrey hit, as well as escaping wounded from a targeted shooting in July 2005. Many execution attempts would follow. The Duhres were spreading across Metro Vancouver in 2010 with their allies, the Dhak group. 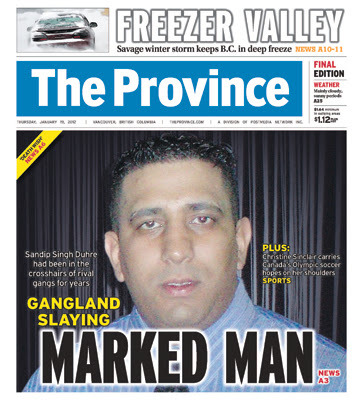 James Riach Dhak kingpin Gurmit Singh Dhak, 32, was shot dead at Metrotown shopping centre in October 2010. Some of the same muscle and drug enforcers who worked for the Red Scorpions/Bacon brothers and UN gang worked for the Duhres. 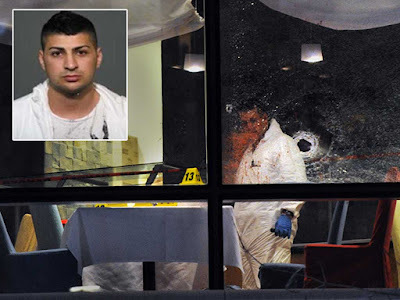 The Duhres involvement in the August 2011 Kelowna casino shooting that killed Abbotsford’s Jonathan Bacon and wounded full-patch Hells Angel Larry Amero was a watershed moment in the conflict. 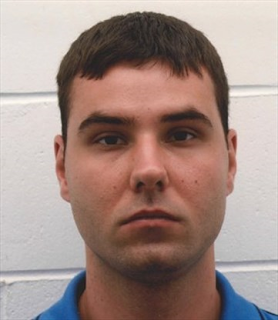 Dean Wiwchar Dean Wiwchar’s two accounts in a Vancouver bank had no money when they were opened in February 2012 two weeks after Duhre’s murder, but in April 2012 police found $140,000. 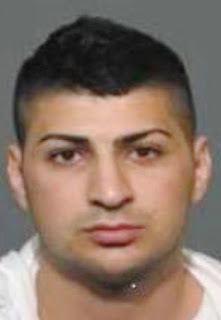 Wiwchar was found guilty for first-degree murder in the shooting death of John Raposo with Robby Alkhalil. Alkhalil also faces a first-degree murder charge in Duhre’s slaying. Wiwchar has not been charged in Duhre’s murder. In an encrypted text message intercepted by police, Wiwchar said he was in the hitman business, currently under contract.